These links are part of the Microsoft Affiliate Program provided by LinkShare, not related to, conditional of, or upon the Microsoft MVP Award. The affiliate program sends out all kinds of assets for these links, like ad-sized banner graphics. But I run ads on my blog already and thus allow for more variation and relevance without manual setup, so I never set those up. Assets I could post by hand. Shop New Microsoft Surface Dial now! Shop New Microsoft Surface Keyboard now! Shop New Microsoft Surface Mouse now! Shop New Microsoft Surface Ergonomic Keyboard now! 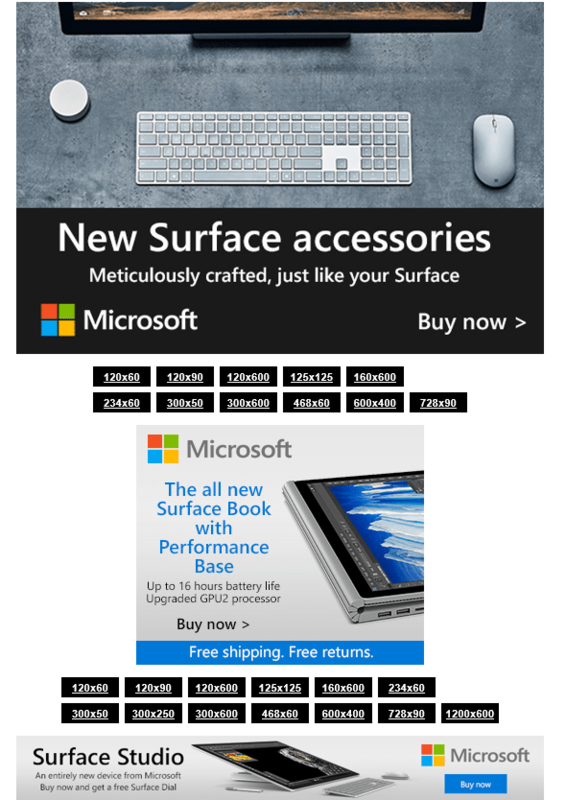 Shop New Surface Accessories now!